Extra copies of song sheets were made and extra chairs brought in to an assembly room at Moravian Hall Square in Nazareth on March 19. 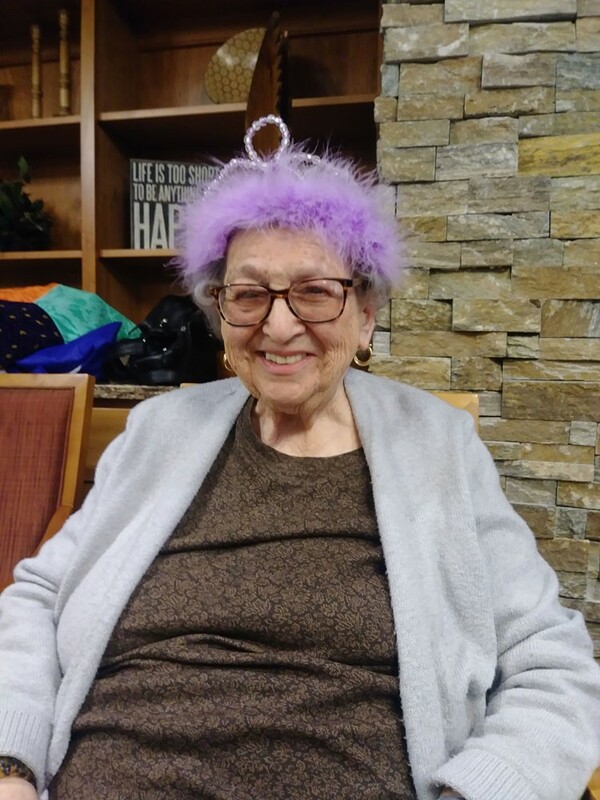 Jewish Family Service volunteer coordinator Chelsea Karp and volunteers Eva Derby and Sue Sosnow had come to put on an interactive Purim spiel with the residents there. The room was filled as dozens showed up, and each was given a noisemaker for the most fun part of the program—booing Haman. The fact that the room was packed is all the more impressive considering that only a tiny fraction of those calling Moravian Hall Square home are Jewish. This was the first time that Purim was officially observed there, building on the success of Chanukah celebrations that were started over the last few years. The first year, they did just one night. But as one resident, Doris, said, “Why not have 8 nights?” So, the next year, they did. So this year, Doris was there, starring as Queen Esther in the spiel, along with many friends and neighbors. Sosnow, a JFS Board member, joined in, as did Derby, Karp, and Dreydoppel. Other members of the crowd filled in the rest of the characters, and the audience raised a raucous, booing and twirling their noisemakers in full-force each time the villainous name of Haman was uttered. Afterwards, everyone snacked on Hamentaschen as Derby regaled them with facts, figures and other trivia related to the holiday. Those interested could take a closer look at the beautiful megillah rolled out on display. In true Purim fashion, a good time was had by all, and as the costumes and props were collected, Dreydoppel reflected, “I appreciate having these programs here because when we share our faith and traditions with one another, we grow in community and understanding."